Now more than ever, we all have some sort of presence on social media because it is the outlet for almost everything. Many people have even been given the title "influencer" because they make a living by sharing their lives on platforms like Instagram. It creates connections with companies you would never dream of working with. But it does take time and consistency to reach your goal. At the age of 20, Seattle native Chelsea Ma has found herself living in New York City attending Parsons, The New School for Design. Chelsea first downloaded the Instagram app back in 2013 where she posted photos for fun on her account @Chelsea.Ma. Like everyone else, she had no intention of becoming an influencer. She simply posted pictures of everyday moments which later on became outfit and landscape photos. Her account began gaining a bit of traction at the end of 2014 from other small bloggers who also enjoyed posting the same things. As an influencer and full-time student, Chelsea has many busy days a week, but still makes sure she doesn’t forget time for herself. She actually declines many events she is invited to because of her choice to put education first. It came as a shock because up to that point, she didn’t know she could be sponsored through Instagram. Chelsea even thought they emailed the wrong person, but it turns out that her hardwork was paying off. Over time she has acquired more sponsorships, but remains grateful for it. One of her recent ones is for Almay and their new mascara, which she posted about on her page. Over time, Chelsea has learned a lot and met many people she would later work with. But there are pros and cons to everything. One of the main pros she states is the fact that Instagram is being taken seriously in the industry now unlike in 2014. The negative part about being an influencer is the struggle to stay inspired because a lot of the content on the app have started to look the same. In order to stay relevant, she tries to follow new people all the time and she changes the way she looks at other photos. Because of her growing presence on this medium, Chelsea has realized how much it changed her goals. “At some point in my career it felt like I was trying to get as many people to notice me as possible, and that wasn’t fun. So I constantly ask myself why am I doing this and what can I bring back to the table that will benefit others when they look at the photo?” she says. "I like how she edits her pictures and that's what caught my attention initially. So in a way, she was a source of inspiration for me." 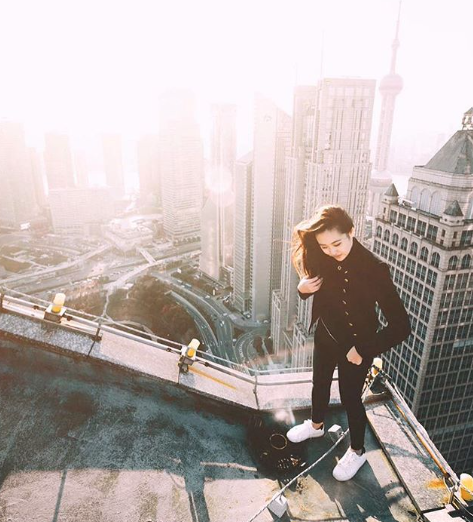 Photographer Michael Li, who happens to be Chelsea's significant other shares his story of how he met her through the app by asking her for rooftops in NYC to explore. "She has a drive to be different from just every other blogger girl and to tell a story that's focused on changing the industry," he says. "I get inspiration from her photos to travel," "her feed has an optimistic feel," "her captions are interactive with her followers," and "her feed is aesthetically pleasing!" The same way her followers are inspired by her, Chelsea has her own inspirations. Her favorites include photographer Tommy Ton and blogger Margaret Zhang. 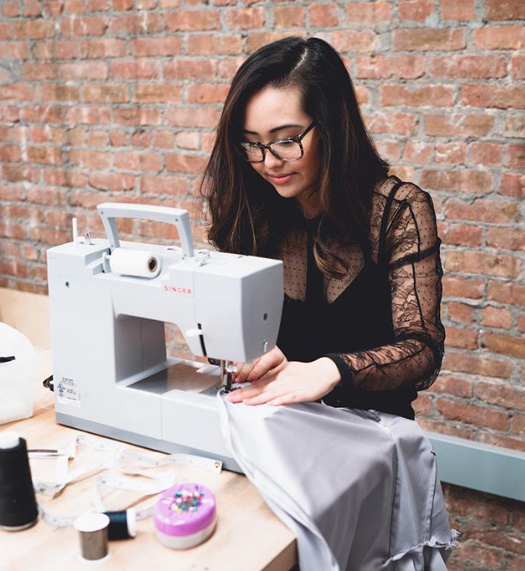 Also, she finds her motivation from her friends (in and out of the Instagram community), her followers, and her own desire to create something unique. But, she admits that everyday she thinks about quitting, not forever, but for a bit. “As creatives there are always times where you need to step away and go back to your roots," she says. “If you want to gain an audience, keep being 1000% you, because that’s what is going to set you apart from everyone else." “My favorite part of this whole experience is that I never asked for it, it just came. I have met some of my closest friends thanks to this app, and I have gotten some amazing opportunities that I would have never gotten if it weren’t for this community, I am very thankful," she says.